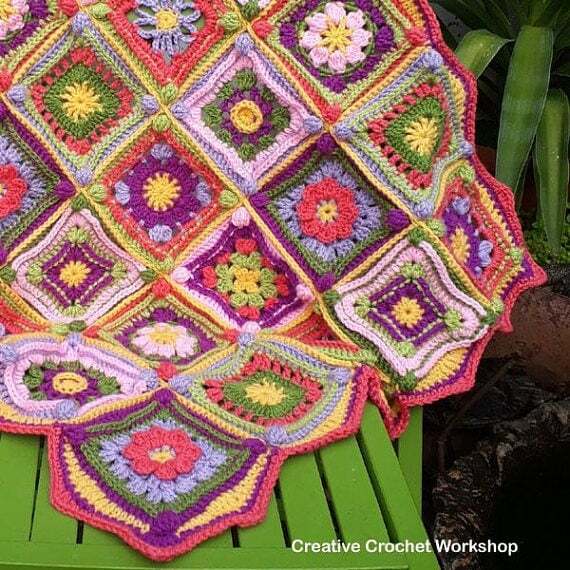 The finished blanket measures 3o inches by 30 inches. The yarn Joanita used to make her sample blanket is Elle Pullskein DK 7 x 50 grams A – Sunshine (yellow); B – Watermelon (pink); C – Lilac (purple) ; D – Olive (Green); E – Fig (purple); F – Lime (green); G – Rose (pink). 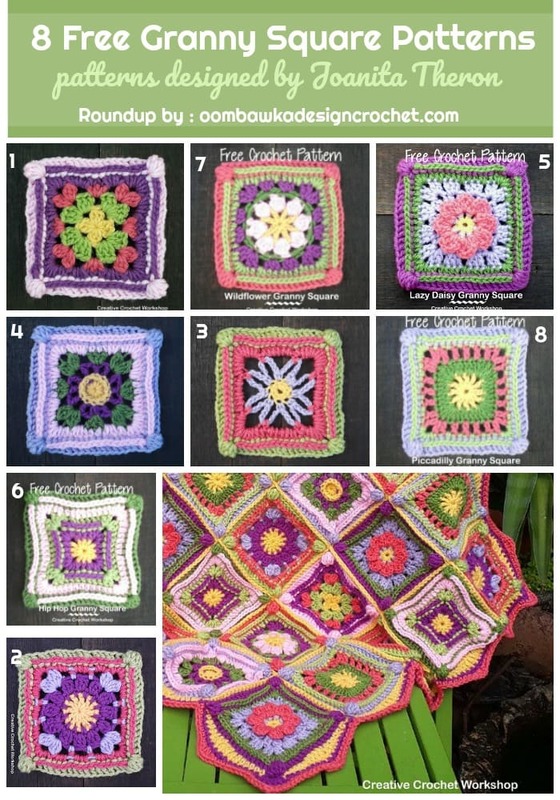 To access each granny square pattern individually and for free, please see the individual links below. They are included after the Round Up Image Collage.